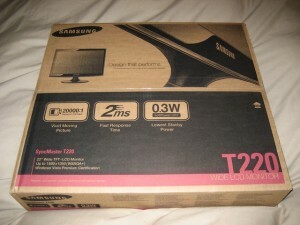 A Samsung T220 review would be incomplete without saying that this monitor is beautiful and extremely easy to install. 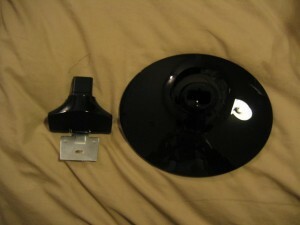 The stand was very easy to fit and then I plugged it in and installed the driver and the other software. At first I couldn’t set the resolution to full (1680 x 1050) in Control Panel, but I changed the resolution on my Nvidia software and then the screen looked fantastic. 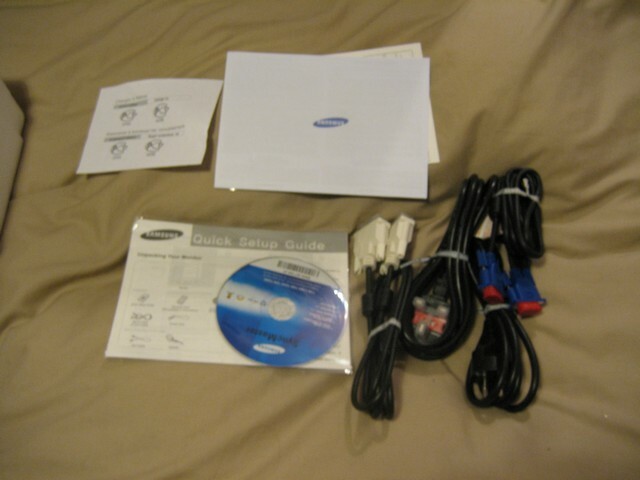 By the way, 3 pin and 2 pin power cables were supplied together with VGA and DVI cables. As many of the other reviews have mentioned, this screen looks beautiful. I was really after a black screen, but I’m pleased I made this choice as the surround looks black with just a hint of red in darker conditions and slightly more red in a lighter ambience, which I’ve grown to really like. 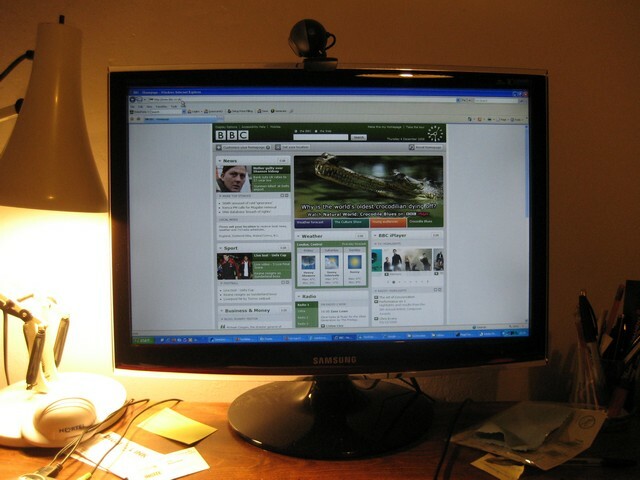 I bought this monitor mainly for work and using the internet. I have not been disappointed! 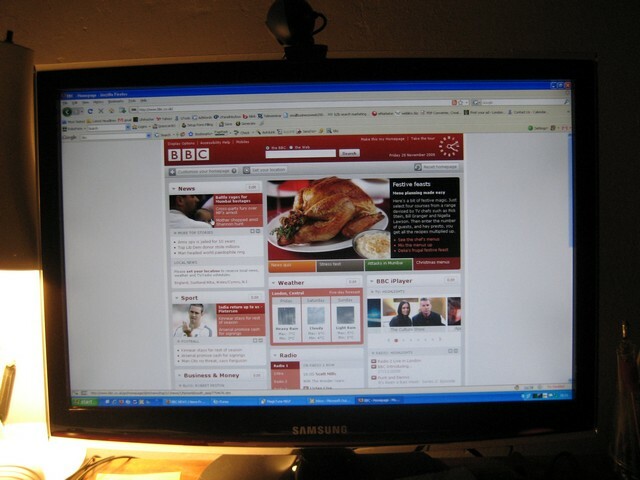 I had several concerns before buying a 22″ monitor (upgraded from a Philips 18″) as I wondered what the internet would be like using it. No problem, as most web pages are centred and not full width, although some pages look too wide. This is easily dealt with by utilising Samsung’s intelligent Multiscreen software which snaps windows to different areas of the screen, so for example you could have 2 browser windows open side by side. Another concern I had was whether the text would be clear and it is very clear and renders well at any size. 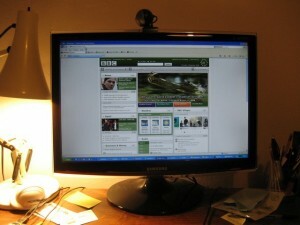 I also use the monitor for viewing photos captured with my digital camera and the images look clear, crisp and vibrant. Also, the viewing angle is good, and the screen remains fairly clear at various angles from side to side. When moving up or down, there is a change in colours, but I assume this is the case with most LCD monitors. I downloaded the latest Magic Tune Premium software which works well, although I have had one incidence of the software saying that it is incompatible with my machine. I just rebooted and it works fine now. I have only made minor adjustments using the software and I have reduced the brightness to 34 and the contrast to 50, which is comfortable for me to use. I did use the calibration tool and made some slight adjustments. I can’t really comment on the games performance of the monitor although it should perform extremely well according to the spec of a 2ms response time. I have played chess and had no problem! Seriously, the only real graphics intensive game that I have used it for is Microsoft Flight Simulator X, which works a treat. The graphics look vivid and sharp and there appears to be no blur. Perhaps others could comment about the quality of using this monitor with fast games. As for the backlight bleed issue, yes it does exist, although I’ve got nothing to compare it against so I’m unsure if it’s that bad. 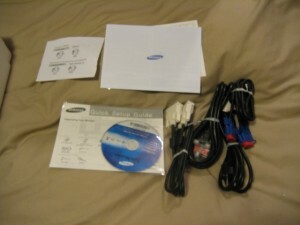 It doesn’t bother me and the other monitors that I researched in this price range such as the Samsung SM226BW all appear to have the same problem. 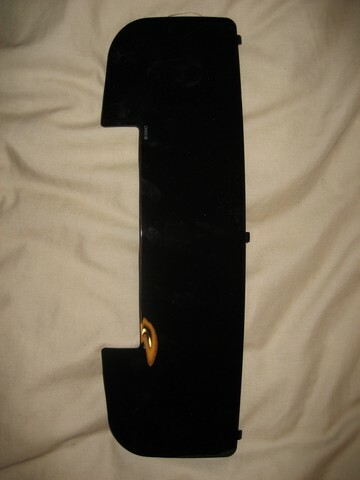 All in all I award this monitor 8 out of 10 and I’m very happy with it. Keep your fingers off my screen! I hope you have enjoyed my Samsung T220 monitor review.